You might have noticed. You might not have. 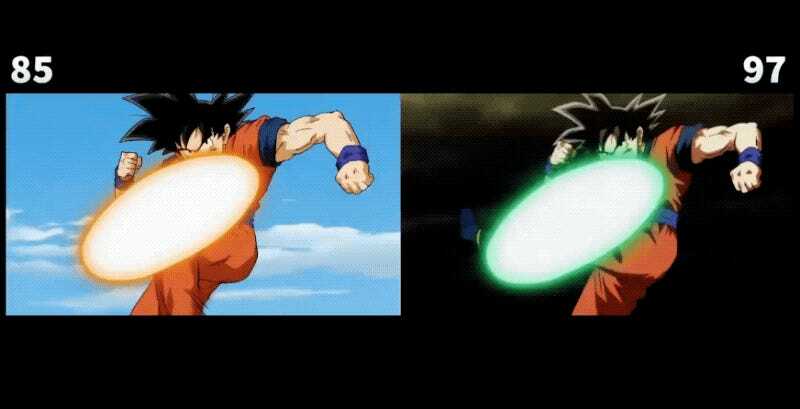 But as Twitter user AnimeAjay points out, Dragon Ball Super’s episode 97 recycled some animation from earlier Dragon Ball Super episodes, such as number 85. In the Tweet below (via SankakuComplex NSFW), you can see the comparisons between the earlier numbered episodes and the recent episode 97 as well as in the next episode preview (aka “NEP”). As you can see, backgrounds and colors have been tweaked. Saiyan Island points out that this isn’t necessarily a bad thing! It saves the studio money. Some fans even think it’s better to recycle good old animation than churn out new, bad animation. However, there are those who wonder why Toei isn’t producing good new animation. Maybe that’s for future episodes.